The software engineer who was fired from Google for circulating a good-faith argument about diversity published a column in the Wall Street Journal on Thursday, Aug. 10, likening the tech giant’s workplace culture to a cult where free speech is stifled and violators are punished. James Damore shared a 10-page document internally at Google suggesting that the prevalence of men in the tech sector had at least something to do with biology. He presented a well-researched argument backed by some of the most respected scientific journals. But Google executives, including the chief executive officer and the chief of diversity, deemed the document to be in violation of the company’s code of conduct because it “perpetuated gender stereotypes.” Damore was fired days after the memo went viral online. In “Why I Was Fired by Google”, Damore reveals the toxic workplace culture in the company, where sharing opinions is limited to a certain ideological spectrum. 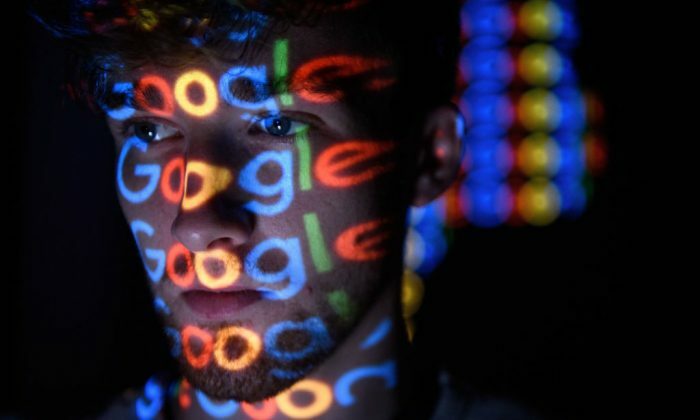 “For many, including myself, working at Google is a major part of their identity, almost like a cult with its own leaders and saints, all believed to righteously uphold the sacred motto of ‘Don’t be evil,’ he wrote. Damore said that he was largely ignored when the memo was circulating within the company, but when it went viral, those who disagreed with the content sent angry emails to the human resources department demanding that he be censored and punished. “Upper management tried to placate this surge of outrage by shaming me and misrepresenting my document, but they couldn’t really do otherwise: The mob would have set upon anyone who openly agreed with me or even tolerated my views,” he wrote. One of the world’s leading philosophers, Peter Singer, believes that Google was wrong in firing Damore. According to Singer, Google went against its own code of conduct in firing Damore. In firing Damore, the CEO went against those very words, Singer said. “He has created a workplace culture in which those with opinions like Damore’s will be intimidated into remaining silent,” Singer added. Since his firing, Damore set up a Twitter account nicknamed “Fired4Truth. ” On the profile image, he sports a T-shirt with the word “Goolag” spelled out mimicking the Google logo. Goolag is an allusion to gulags, a massive system of labor camps in the Soviet Union where millions of innocent prisoners of conscience perished. Damore’s Twitter account has almost 60,000 followers despite starting days ago. Google’s chief of diversity, Danielle Brown, has less than 2,000 followers. “If Google continues to ignore the very real issues raised by its diversity policies and corporate culture, it will be walking blind into the future—unable to meet the needs of its remarkable employees and sure to disappoint its billions of users,” Damore wrote.